In this new webinar, ELLEN SANDLER, a co-exec producer of Everybody Loves Raymond, reveals how an idea in a writer’s head turns into a show on your TV. Television shows are all about the story—no matter how great the jokes or how sparkling the dialogue, if the story structure isn’t there, the show doesn’t work. Using her Thanksgiving episode of Everybody Loves Raymond entitled “No Fat” (aka “the tofu turkey”), Ellen tracks the process step by step from her original pitch to re-runs. Her analysis includes a scene by scene screening where she shows you exactly how the structure, dialogue and jokes work. The reference point is series television, but these principles apply to every story you will ever write – TV, film, webisode, theatre and even memoir. Viewing story structure through the short, simple format of a TV show makes it easier to grasp and then apply to your own work. 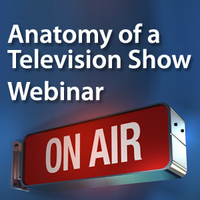 Ellen offers you her personal writing secrets and shares the joys and frustrations of the highly collaborative process of network television writing in this funny and informative webinar. After taking this class you'll know a lot more about what you're watching on TV. You’ll also have a good idea why a strong structure takes the struggle out of script writing and actually gives you the freedom to take risks that make your script original and fresh. Loved it! Possibly a boring email as there is nothing I could suggest to make it better. I'm new to the world of webinars and I've only taken a few, but I found yours to have just the right amount of visual information so as to keep one engaged but not distracted (from the verbal content). You will be able access a copy of the script “No Fat” to follow and notate. You will be able to submit written questions in class; Ellen will answer selected questions live during the webinar. The webinar is broadcast over the Internet with the live audio being delivered through your computer speakers or over your telephone. The presentation is displayed directly from the Presenter's computer on to your computer screen. The Q& A is managed through a chat-style submission system with questions being answered by the Presenter for the entire class to hear. In the event some questions are not answered during the live session, an email with all questions and answers will be sent to all webinar attendees. All you need is a computer or iPad. You will be able to view the presentation and listen to the audio over the computer speakers. See below for complete system requirements. Recommended: Minimum of Pentium® class 1GHz CPU with 512 MB of RAM (2 GB of RAM for Windows® Vista. Required: Intel processor with 512 MB of RAM or better recommended. If you have questions about the webinar, please call us prior to the start time at 800.272.8927. 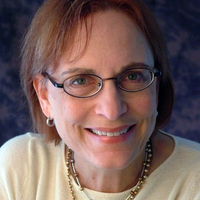 Ellen Sandler was nominated for an Emmy as a Co-Executive Producer of Everybody Loves Raymond. She has created over 20 pilots for ABC, CBS, NBC, Fox Family, Oxygen and the Disney Channel and has consulted internationally on pilots for the ABC Australia; the CBC Canada; Media Marketing, Dubai; and MediaCorp, Singapore. A writer/producer on more than a dozen prime time TV shows, she is the author of The TV Writer’s Workbook (Bantam/Dell).